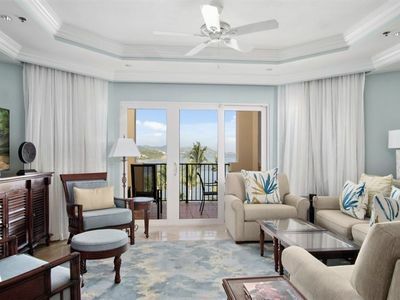 Beautiful updated, Beach level condo, 35 steps to Caribbean Ocean! 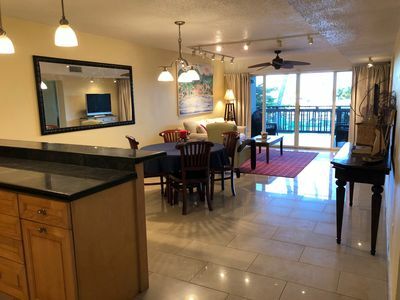 * ENJOY DIRECT ACCESS TO THE BEACH! 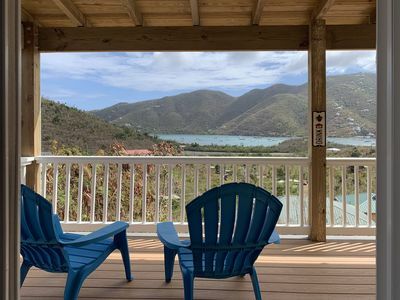 You DO NOT have to walk around the building to access the beach & beautiful Caribbean Ocean. Our patio door comes with a key lock so you can access the condo/beach WITHOUT HAVING TO WALK AROUND THE BUILDING! *Gourmet kitchen with all new stainless steel appliances. 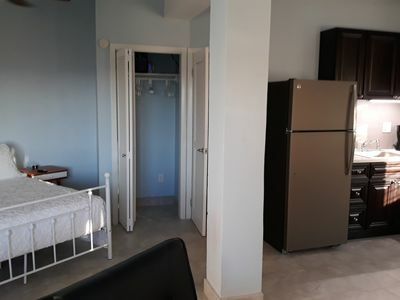 *This first floor condo is air-conditioned. 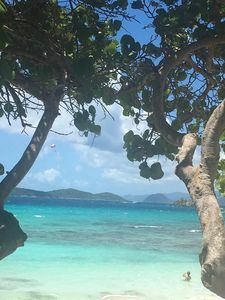 *White sandy beaches with turquoise blue water are just steps away. 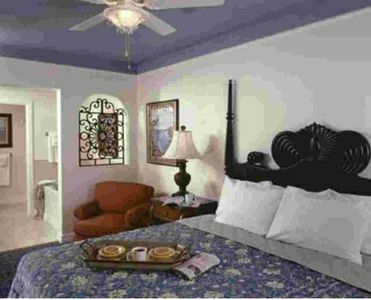 *There is a fresh water multi-level pool located on the beach. *Snorkeling trips, fishing trips, jet skies & para-sailing are available at the resorts Marina. Sapphire Beach bar has great food and drinks. One complimentary mid-week cleaning which includes fresh towels. Additional maid service and towel change is available at Guests expense. 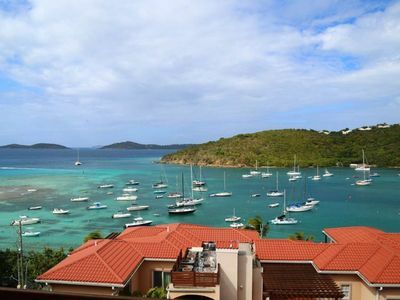 The Island: St. Thomas spans 32 square miles and lies off the coast of Puerto Rico. 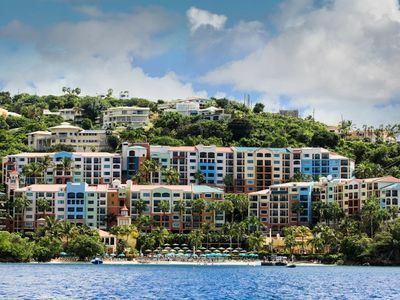 The capital of the Virgin Islands is Charlotte Amalie, which is a 20 minute taxi ride from Sapphire Beach. A natural deep water port, it has one of the stunning harbors in the world. 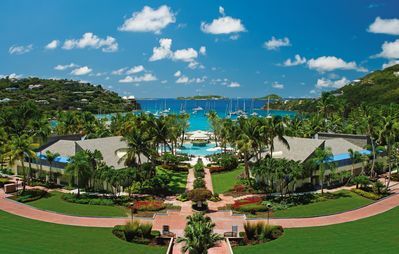 St. Thomas is also known for its duty free shopping. 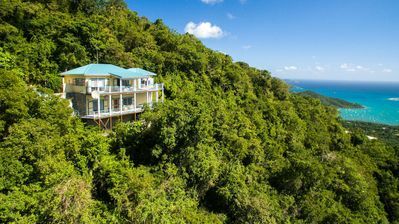 There is a 'tent city' located in the heart of Charlotte Amalie where you can purchase inexpensive t-shirts, purses, jewelry & more. 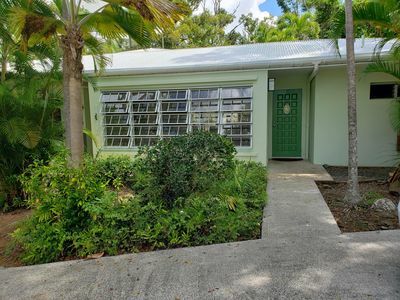 Mahogany Run Golf Course is located minutes from Sapphire Beach. 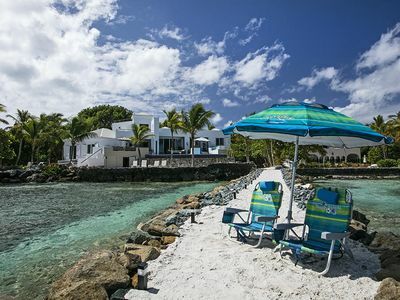 Visit Magen's Beach, lindquist Beach & Secret Harbor beach. Coral World is also a must see! Take an underwater submarine tour while at Coral World! Visit Bluebeard's castle. 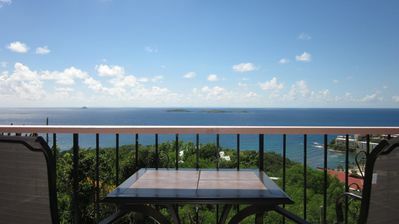 Go to Mountain Top, the highest point on the Island for one of their world famous banana daiquiris & breathtaking views. RELAX & ENJOY MON! 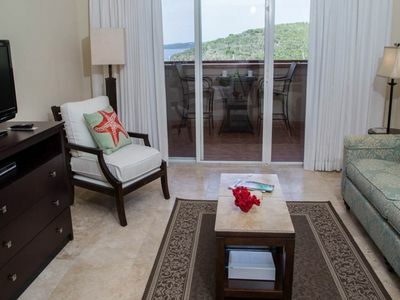 : Our condo on beautiful Sapphire Beach is equipped with all the 'comforts of home'! 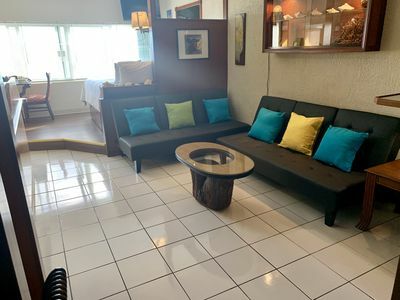 2 flat screen tv's, blu-ray disk player, Ipod charger, king pillow top bed, queen sofa bed, shower/tub combination & brand new kitchen await you. 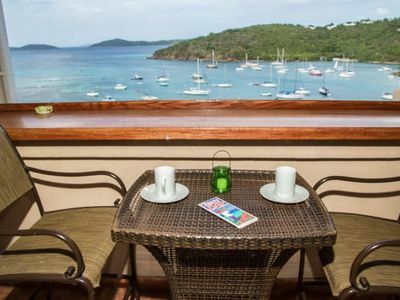 Outside, you will find a table & four chairs perfect for sipping morning coffee & watching the sun come up over St. John. 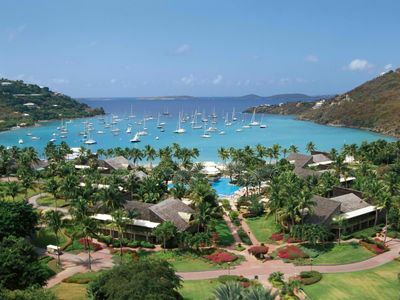 Soak up the sun on one of the most beautiful beaches on the Island. Snorkel a few feet from your condo! 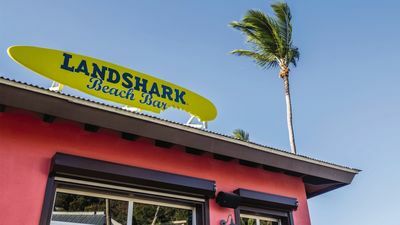 There is a bar/grill located on the property that serves fabulous tropical drinks and offers hamburgers, hotdogs, chicken sandwiches & breakfast foods. 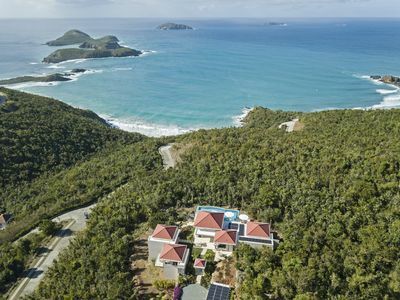 There is a 2 tiered pool overlooking the Caribbean & St. John. 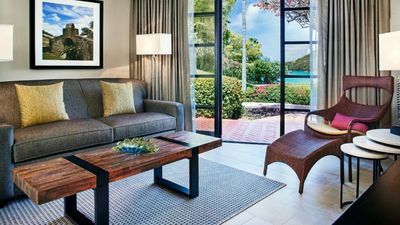 You truly are in 'Paradise' when you stay as our guests.